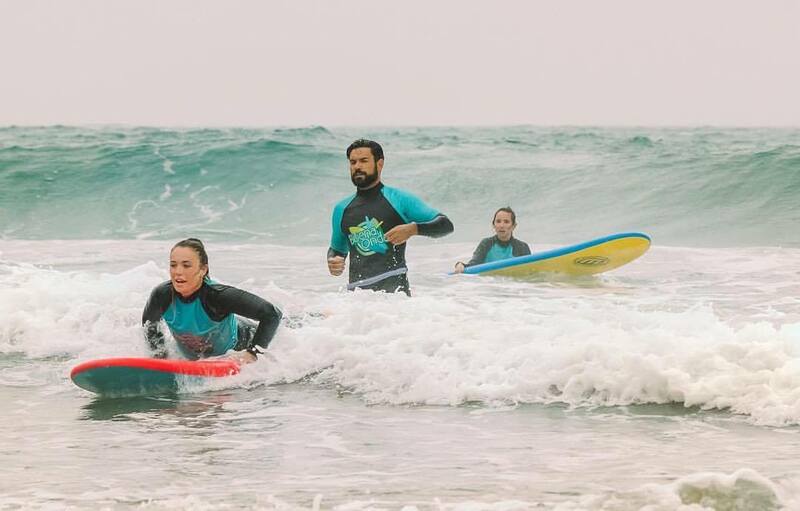 We offer a true surfing experience to people from all over the world that come to the island of Gran Canaria to discover waves, nature and the local good vibes! Here you'll find a warm and familiar environment that welcomes both beginners and expert lovers of this sport. All rooms with private bathroom? 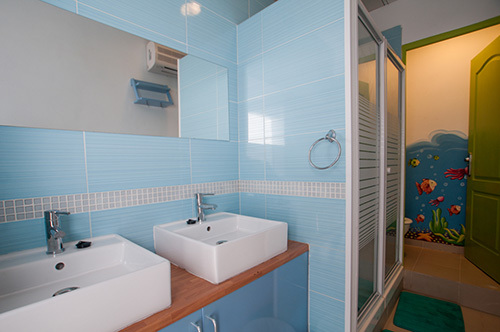 Different shared bathrooms for the double rooms and for the shared rooms. Gran Canaria is one of the islands of the archipelago of the Canary Islands, located in front of the Moroccan cost, in the Atlantic Ocean. Like the other islands of the archipelago, Gran Canaria has been shaped by the power of volcanoes and the strength of the waves of the Atlantic Ocean. The island counts with many surf spots. The most famous one is La Cicer, in the urban beach of Las Canteras, in the city of Las Palmas de Gran Canaria. 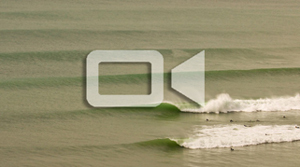 There are waves all year long, adapt to all levels, and the temperature of the water is around 20 degrees °C. Gran Canaria has a pleasant climate with daytime temperatures reaching into the 20's (°C) throughout the year. 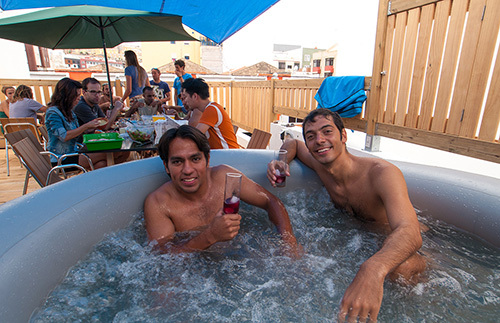 The city of Las Palmas is a port city characterized by a vivid cultural environment and active nightlife. The airport of the island is located 15 minutes far from the city and it is served by several airlines that fly all around Europe (Ryanair, Norwegian, Wizz Air, Vueling, Iberia..). 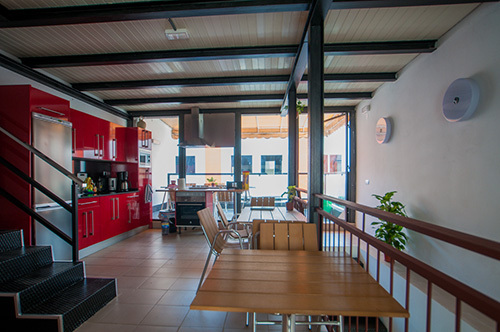 The surfcamp that we offer is right in the heart of Las Palmas, in the surfer neighborhood of Guanarteme, just beside the urban spot of La Cicer. Beside surfing, the hood offer a variety of bars and a good nightlife, with concerts every Saturday night. 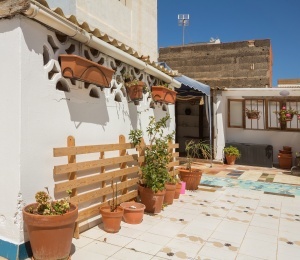 The accommodation provided is a surf hostel located just 5 minutes walk from the surf school and from the spot of La Cicer. 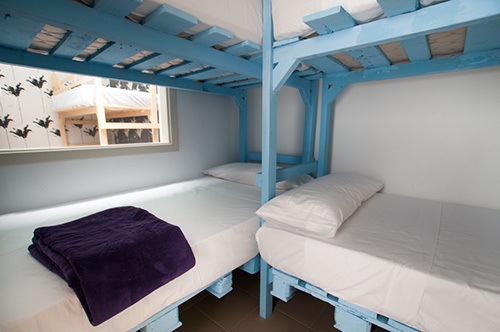 The hostel has several dorms and private rooms too. 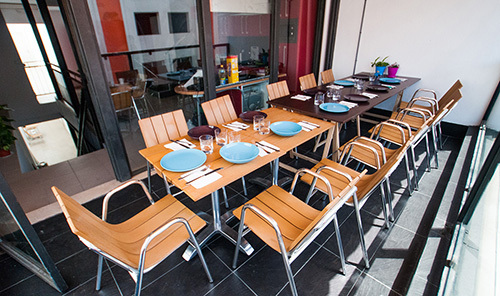 There are two terraces where to chill and to have dinner. 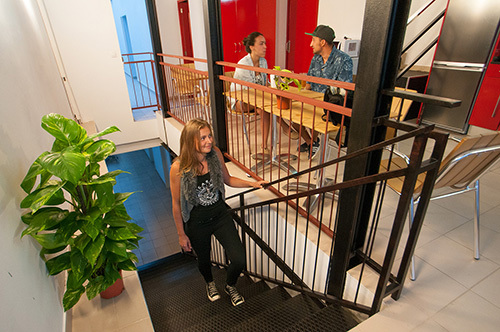 The hostel is characterized by a friendly and fresh environment, and is located in the middle of the surfer hood of Las Palmas de Gran Canaria. 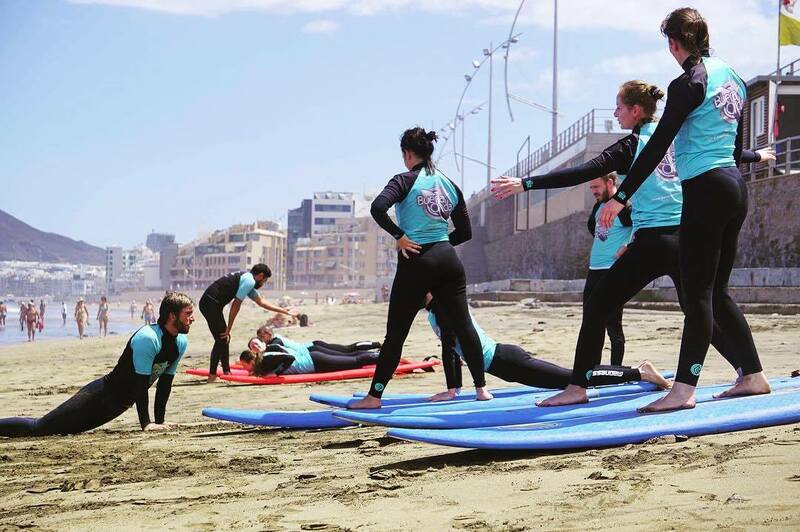 The surfcamp that we offer is designed to make you fully enjoy 8 days of pure surfing holidays in the surf city of Las Palmas de Gran Canaria. 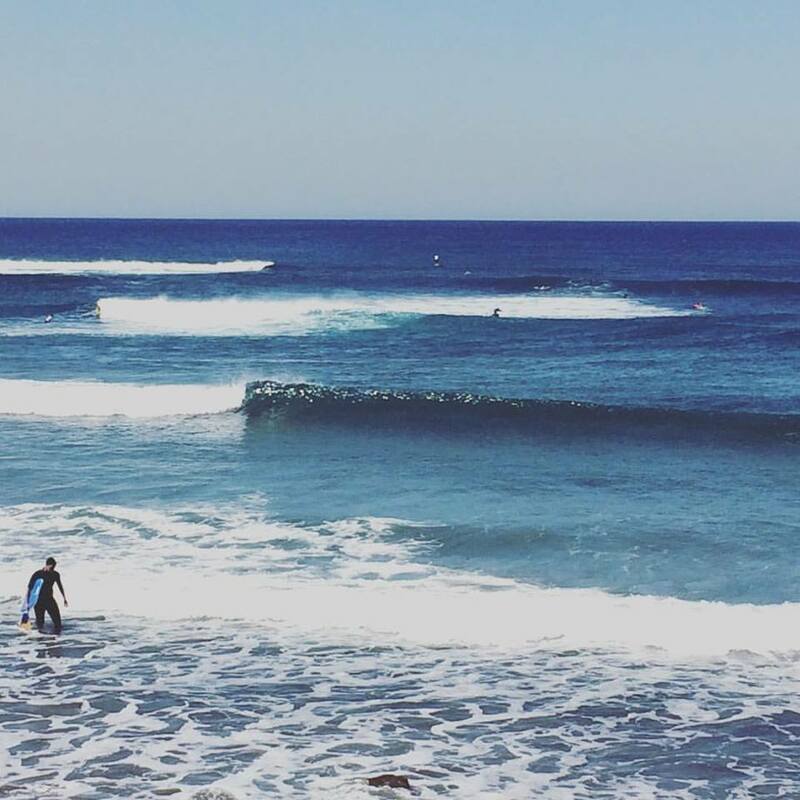 Located in the Canary Islands archipelago, Las Palmas de Gran Canaria is a capital city that counts with good waves all year long thanks to its spot of La Cicer. 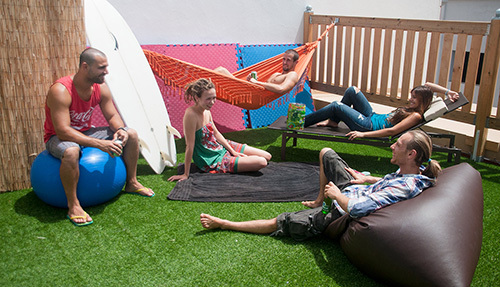 The Buena Onda surfcamp is located just beside the Cicer! A viariety of surfboards are available for classes and rentals: softboards for beginners from 6.6 to 8 feets, fishboards from 6.6 to 7.2 feets, and longboards from 8 to 9 feets. 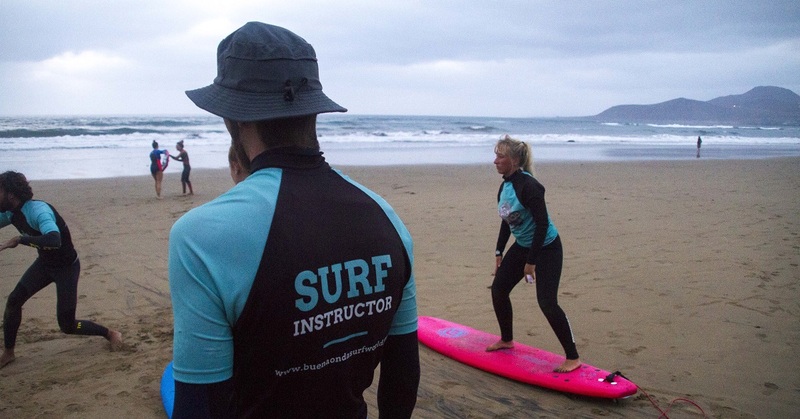 Only surf certified instructors (CSI) are providing surf classes at Buena Onda. We all speak fluently English. 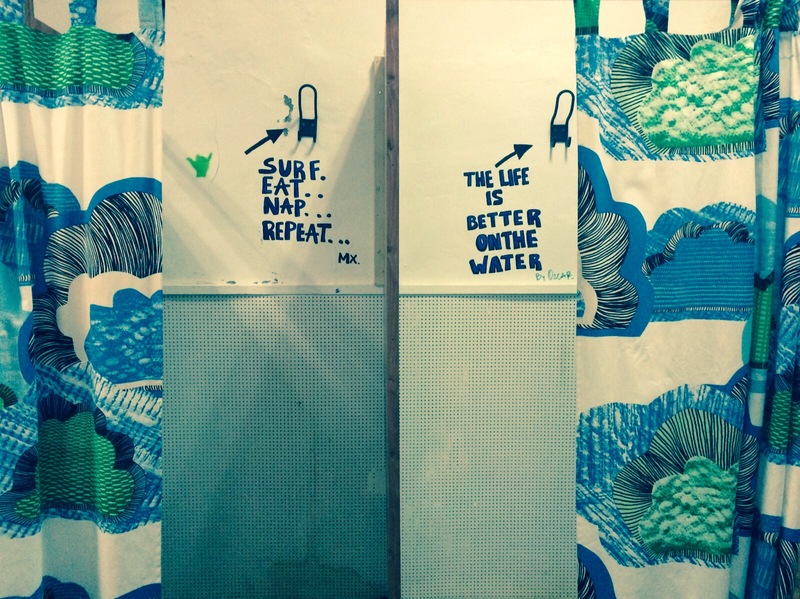 All surfing levels are welcome! 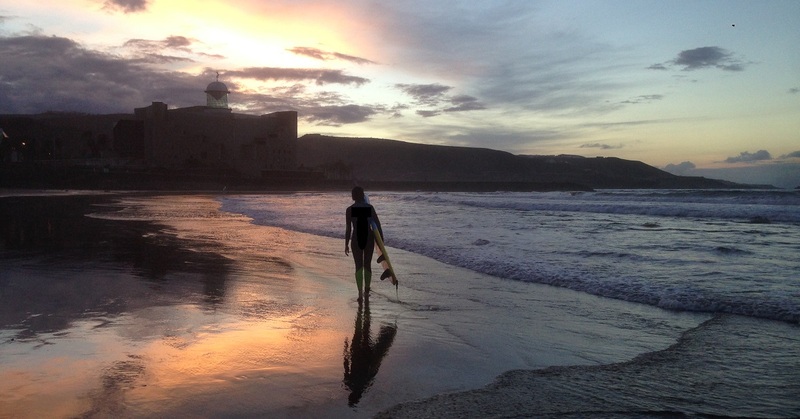 Surfing conditions in Las Palmas de Gran Canaria are good all year around. 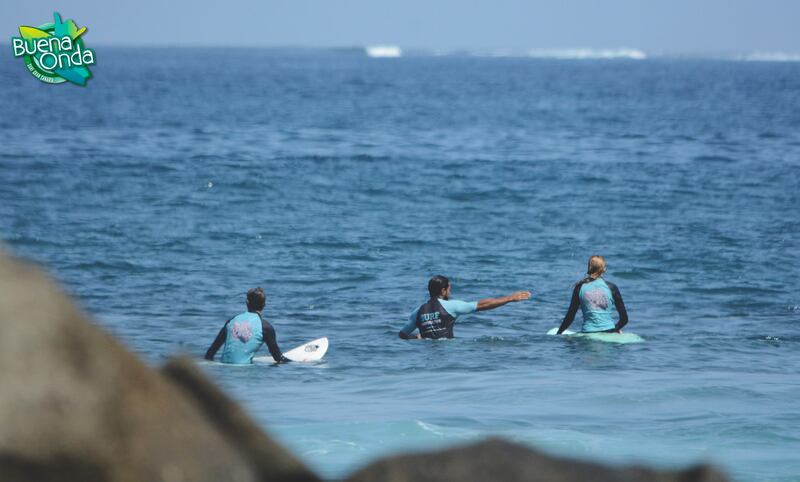 The school has direct access to the surf spot of La Cicer. The spot is a beach break and presents very good conditions for beginners all year long, with nice weather and warm water (average temperature of 25 degrees, temperature of the water 24 degrees). 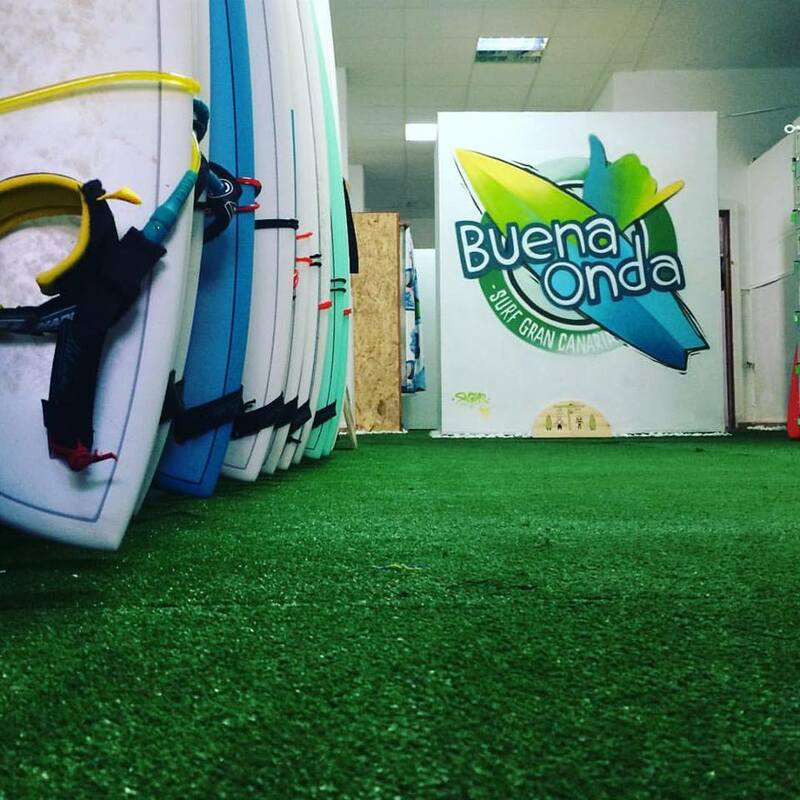 Our school provides different surfing materials, suitable to different conditions and surfing levels: we rent softboards, poxiboards, fishboards and longboards, all characterized by extremely high quality. Eventually, we have carvers that can be used to improve surf moves on the skatepark located just 5 min walk. 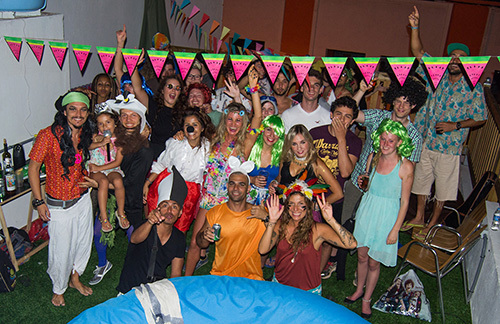 The school is located in the barrio surfero of Guanarteme, a vivid and international environment with nice bars on the seaside and a fizzy nightlife. SURFINN © 20-04-2019 04:42:52. ALL RIGHTS RESERVED.